Homemade Stovetop Macaroni and Cheese, there’s nothing like it. 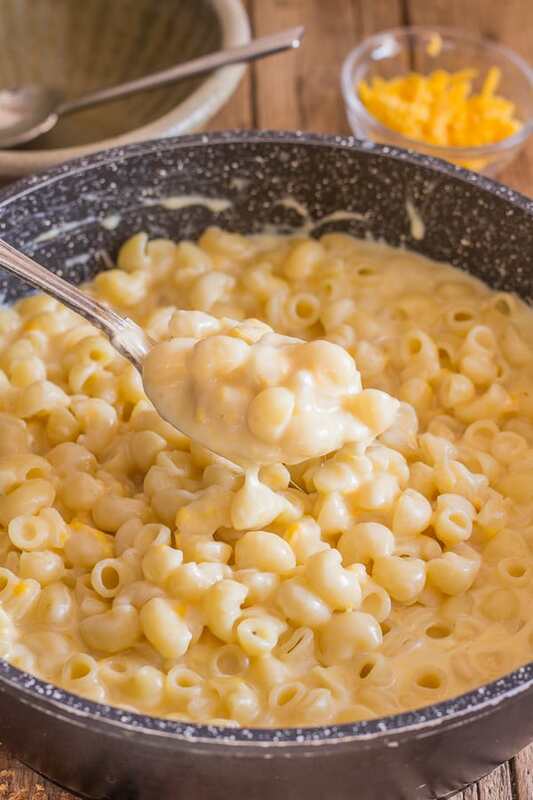 This delicious comfort food is a fast and easy double cheese creamy Macaroni Recipe and yes it’s better than baked. 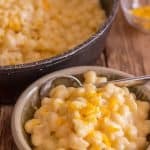 Naturally we are a big Pasta loving family and this Macaroni and Cheese Recipe is tasty, creamy and cheesy exactly what it should be. I’m sure it will become one of your favourites too! When I was in Canada one of my favourite Stovetop Macaroni and Cheese dishes was that really orange powdered stuff in a box. I hate to admit it but I just loved the stuff, so much so, that when I would come back from visiting (years ago) I would always bring back a couple of boxes. And then I got smart and found the powdered mixture in the bulk store!! If I only knew back then how easy and delicious this Stove Top Macaroni and Cheese version is. 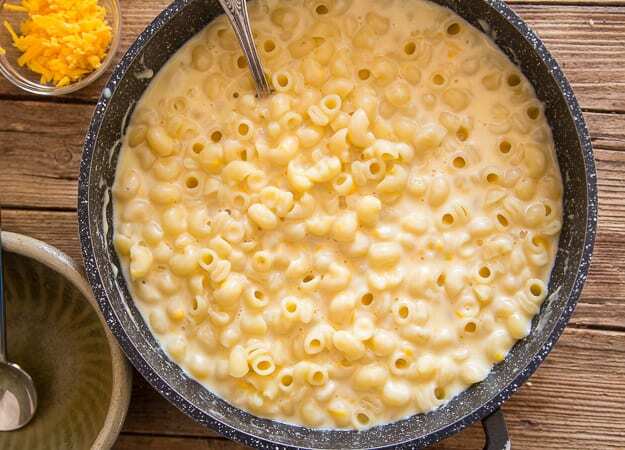 How to make the best Macaroni and Cheese Recipe. 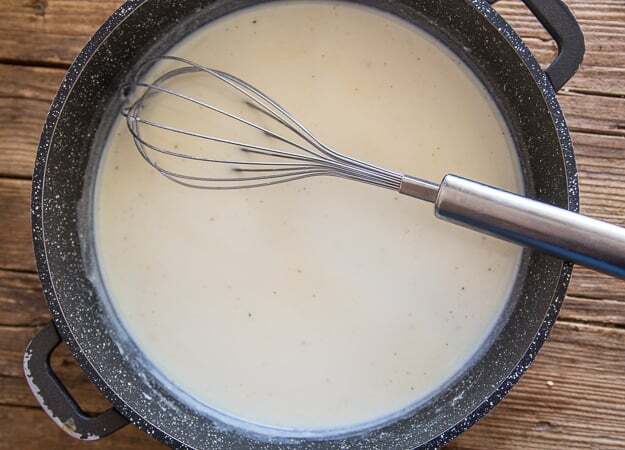 Start by making a white sauce. In a large pot melt the butter, add flour and whisk until smooth. Slowly add the milk, and stir to combine the ingredients to form a smooth sauce. Continue to cook the sauce until it thickens. Add the shredded cheese (that you shred yourself not pre shredded) and stir until the cheese has melted. Gently fold in your cooked al dente pasta. Serve immediately with some shredded cheddar on top. Sometimes the only thing we need is a little comfort, sometimes it comes from family, sometimes from friends and sometimes from food. I think this Stovetop Macaroni and Cheese is the perfect dish if you are looking or needing a little comfort. 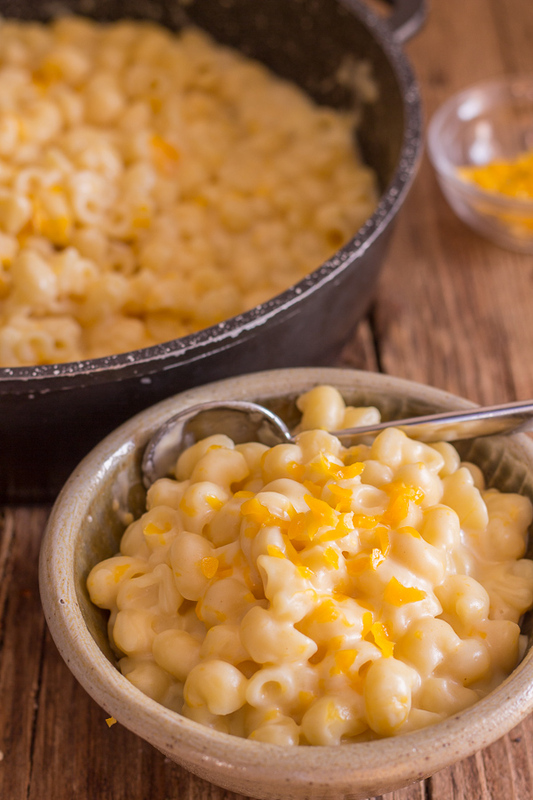 And even if you aren’t this Macaroni and Cheese Dish is cheesy, creamy and amazing! Buon Appetito! Homemade Stovetop Macaroni and Cheese, there's nothing like it. 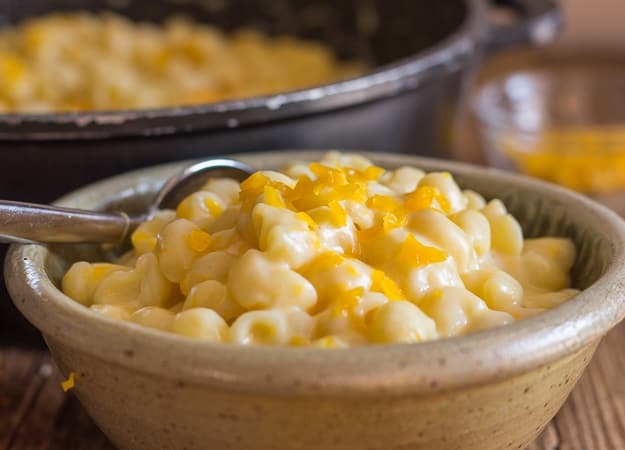 This delicious comfort food is a fast and easy double cheese creamy Macaroni Recipe and yes it's better than baked. In a large saucepan on low / medium heat melt butter, then add the flour and whisk together until smooth, add salt and pepper, then slowly add the milk, stirring to combine. Cook and stir often until the mixture starts to thicken. Remove from heat. Add shredded cheese and stir until melted, then gently fold in the cooked al dente pasta. Serve immediately topped with some shredded cheese. Enjoy. First published Jan 31, 2018. Looks delicious! I’ll have to try your recipe! How much UNCOOKED macaroni should I use to get 5-6 cups of cooked macaroni? Thanks! Hi Benita about 2 1/2 to 3 cups dry will give you 5-6 cups cooked. Hi Stella thanks we love it too. Have a great weekend.